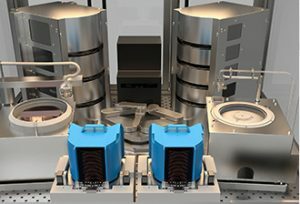 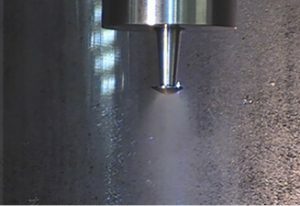 Ultrasonic Spray Coating System | C&D Semiconductor Services, Inc.
C&D is proud to introduce Ultrasonic “Spray” Coating to the offerings on our P9000 family of products. 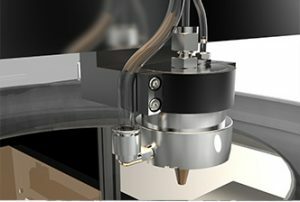 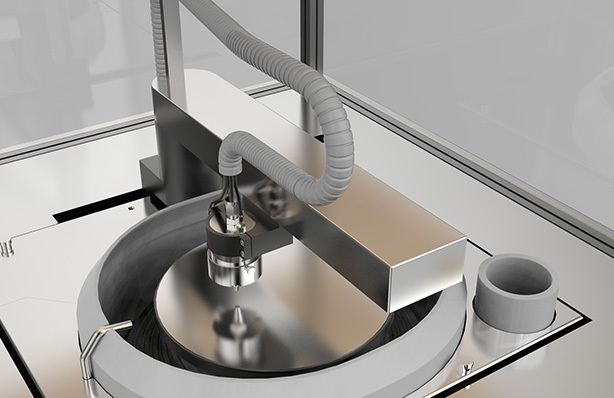 Offered both in standalone or as a drop in module for one of our cluster tools, our ultrasonic coating system is able to more uniformly coat substrates with complex structures that may have high levels of varying topography. 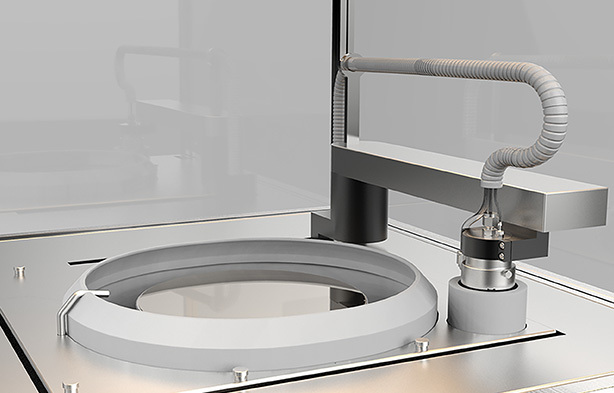 Using a ultrasonic signal generator, our coating system will mist the desired chemistries using parameters finely calibrated to the specific physical properties of the photoresist. 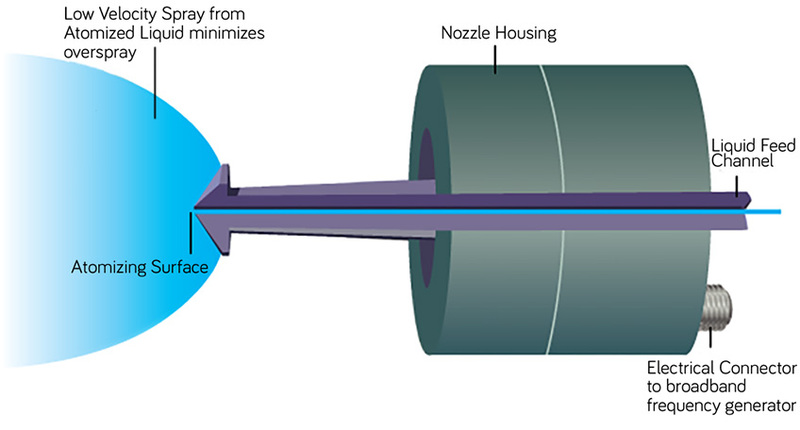 Compressed nitrogen is used not as a propellant of the solution, but solely as a shaping spray to direct the photoresist atomized by the ultrasonic frequencies. This results in a much more uniform coating for complex geometries and topographic substrates, and requires a greatly reduced amount photoresist than traditional checmical coating methods.